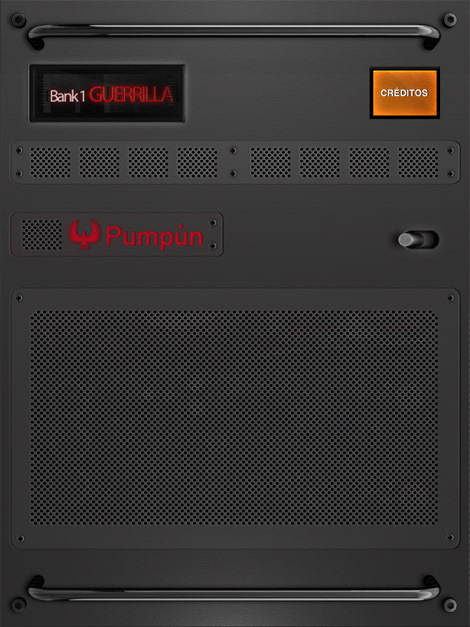 The audio pad app “Guerrilla Sample Box” is written using the ios 5 sdk and AVAudioPlayer class from AVFoundation. First, a NSMutableArray is created, which holds several AVAudioPlayer objects, one per sound. They are initiated with a pathForResource. Second, a playButtonPressed method is created, which is fired from buttons located at PlayView nib. Each time they are pressed all sounds are stopped, and the sound related to the tag property of the button starts playing. SoundBOX (Guerrilla Samples Box) is a sound machine that can be used as a citizen tool é unha máquina de son que pretende servir como ferramenta cidadá. Contains chants hymns and other standards that can be heard in public events in Spain. 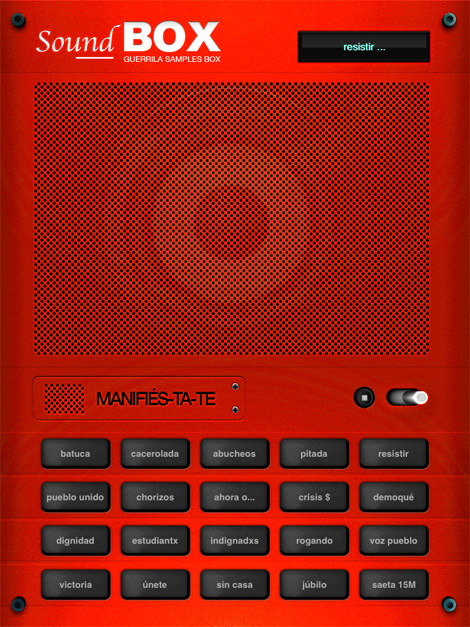 Almost all sounds were taken from recordings of Pedro Jimenez, Kamen, Chinowski (Tesladream), Grupo Numax and Edu Comelles, all of them were released at Mediateletipos.net as part of the “sound archive #spanishrevolution Yes, we klang!). Este artigo escribiuno berio, publicado o 25 Xuño, 2012 ás 15:47, gardado en Code. Garda o permalink. Segue os comentarios do artigo co RSS feed que ten.